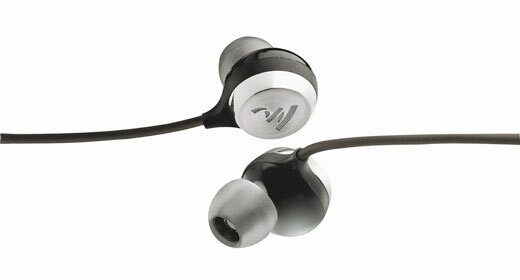 Focal has recently introduced the Sphear in-ear earphones. They’re the result of two years of R&D, and are said to be both the smallest product and the smallest transducer the company has ever manufactured. Starting from scratch with the design, Sphear breaks with convention to prove that in-ear headphones can be used for hours on end without discomfort. Sonically Sphear is faithful to Focal’s acoustic signature, the “Spirit of Sound”, with a balanced clear, yet rich sound. For over two years, the engineers and designers at Focal worked to refine their approach to fitting headphones in the ear. The Sphear’s memory foam tips adapt naturally to the ear canal and the extended spherical housing shifts the weight of the headphones to the outer part of the ear. This relieves the ear canal from excessive weight and pressure which causes the discomfort. Additionally the sound of the Sphear is engineered to be low distortion and smooth, avoiding acoustic listening fatigue. – Unique ergonomic design enables prolonged listening sessions without fatigue. – Compatible with all types of devices: smartphones, tablets, computers, etc. A loudspeaker has to have a frequency response curve which is as flat as possible. This is not the same for ear phones which emit sound directly into the ear canal. Focal engineers have succeeded in tuning Sphear’s frequency curve to obtain a neutral tonal balance, without any of the fatiguing brashness so common in this type of design. To cope with the problems of mobile use in noisy environments, the bass level on Sphear has been slightly increased to deliver an accurate balance in real-life use, without that ‘beaty’ overblown sound. Opening up a new field of micro-engineering at Focal, the Sphear uses the smallest transducer they have ever manufactured. Conversely the spherical design of Sphear’s ear-pieces makes it possible to have in earphone terms, a larger driver than usual. Focal have built a 10.8mm driver, using a new Mylar diaphragm with precisely modelled shape and ridging, designed to avoid deformation and distortion. This delivers impact, clarity and very low-distortion. Fitted with a quality omnidirectional microphone, the remote control enables users to control telephone calls (answer call, end call) and play functions (play, stop, next track, previous track) on most devices. Works with iPhone, Android, many MP3 players and many computers.